Boz Eyewear is a collection of elegant, stylish and sensual frames distinguished by a gorgeous palette of colors, unique contemporary shapes and inspiration drawn from nature and plants. 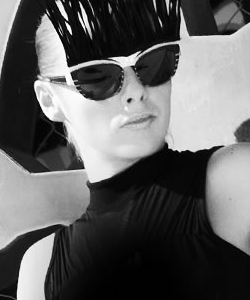 With fantasy-like and bold creative design, Boz eyewear adorns the women who wears it with originality and distinction. Drawing on inspiration from a mixture of cultures and influences, such as art, nature, and a fun and daring lifestyle, the arguably classic style frames are accentuated with unique accents, colors and embellishments. The Boz collection is for the woman that is artistic, dramatic and bold, one who enjoys having fun and isn’t afraid to show it.